Alliance Safety is providing full time safety management and training to several large contractor clients during the construction of the Intel Fab 42 facility in Chandler. Intel is investing $5 billion in this new factory which will continue to create sophisticated semiconductor technology to meet the increasing demand in the chip market. These faster, more-powerful chips are found in everything from large computer servers to smartphones and future devices. 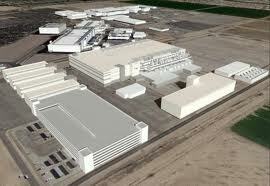 Intel executives say this will be the most advanced high-volume semiconductor-manufacturing facility in the world. The new facility will produce transistors with a minimum size of 14 nanometers. One nanometer is about one-billionth of a meter. In 2009, Intel began refurbishing two plants in Chandler to make 32-nanometer-size chips. 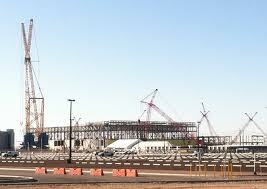 The facility is scheduled to open in 2013.